Moon Hunters has action / RPG roots without question but does things a little differently than you may be accustomed to. While there are additional classes you can unlock to play as and more typical fare the game is less about simply completing it (which can be done in a sitting if you’re in your groove) and far more about exploring the game world, running into various random encounters, and experimenting with how you deal with them. These choices will affect your character’s stats and how they’re perceived in the world. Depending on the choices you make and the people you’ve encounter different opportunities and possible endings will present themselves. The game’s designer, and co-founder of Kitfox Studios, Tanya X. Short was gracious enough to take the time to answer some of my questions about the game and its inspirations. While there are elements of the game that hint at other series I'd consider most of the overall experience in the game different than I'm accustomed to. There's a richness and depth to the overall story and the elements of the game that took me by surprise. What were the influences for Moon Hunters, whether in terms of other games or forms of culture? TS: All over the place! I love games, and you can see traces of games like Secret of Mana or 80 Days or Princess Maker 2, but I also love films, books, graphic novels, and ancient history. We tried to draw specifically from ancient Assyrian and Sumerian myths, clothing, and cultural events. What strikes me about Moon Hunters is that it is a game of several layers. At the core it is an action RPG and offers up several classes that have varied styles of play. Even just at that "simple" level in a given playthrough you will only get the opportunity to make use of a portion of all potential power-ups for the class. Depending on the locations you seek out, the encounters you have, and the choices you make your attributes can also vary substantially, even with the same class. How challenging was all of this to implement and balance so that players are compelled to continue to discover instead of frustrated or discouraged? TS: It took more time than we thought, for sure! Even though we were building on a quite-old prototype (check out Dungeons of Fayte if you want to see the initial "seed" of the game idea), it took many tries to build up the right level of metagame, to try to make it full of surprising discoveries. Having played through the game a few times now there's still a ton to unlock, things to experience, encounters to understand, and simply trying to get the "good" ending. How many run-throughs would you estimate it would take someone who isn't using a guide to discover the majority of the best content in the game? TS: It depends on the person, of course, but we find most people are satisfied after 4-6 hours with the game, so 5-8 playthroughs. Aside from the wonderful retro pixel graphics style the game has it's hard not to have the game's evocative music get in your head and create an often somewhat melancholy mood. Is this all part of the hook to help compel people to continue to work through the challenge of determining how to change the course of events and get the "good" ending? TS: Definitely shout-out to Halina Heron and Ryan Roth, who were seriously fantastic. Ryan did the audio on our previous game (Shattered Planet) and both he and Halina are great musicians, so it was awesome that they would collaborate on Moon Hunters -- their only other game soundtrack collaboration was The Yawhg (a game also inspired by that prototype I mentioned, Dungeons of Fayte), so if you like the Moon Hunters feel, definitely give that game a try too. Looking at your studio's stated goals and the catalog of titles you've made to this point you appear to be determined to make rich narrative experiences, regardless of the genre the given game may be in. What would you say is driving that desire when, overall, there's so much boilerplate narrative out there? TS: You're so flattering! Thank you! I was an English major before I was a game designer, I love reading, and I still write some short fiction for magazine publication. I guess you could say that I have a taste for storytelling as a unique human joy and art, rather than just words in a linear sequence. Playing the game with other people isn't necessary but there's support for parties of up to 4. How does the game adapt the challenge level and encounters to accommodate multiple people? TS: There's more enemies, more enemy health, and more myths that generate at the end, for more players. More players is also more fun, since you can vote on what to do during dialogue choices. 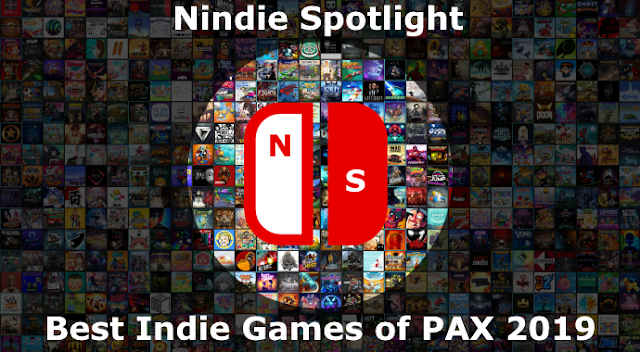 Now that you've released a few titles what would you say is the greatest bit of wisdom you would give yourself when you were getting started or perhaps that you wish gamers would understand about the challenges indie developers face? TS: You need to approach each game as if it will sell 0 copies, and somehow find a way to make it and survive anyway. There's almost always a second source of funds besides game sales, at least in the first few years. Usually this takes the form of contracts with bigger companies (making games for them secretly), but it could also be loans or grants. Making a living as an indie developer is really hard! I’d like to, again, thank Tanya for taking the time to field my questions about the game and give a shout out to Victoria as well for coordinating this. 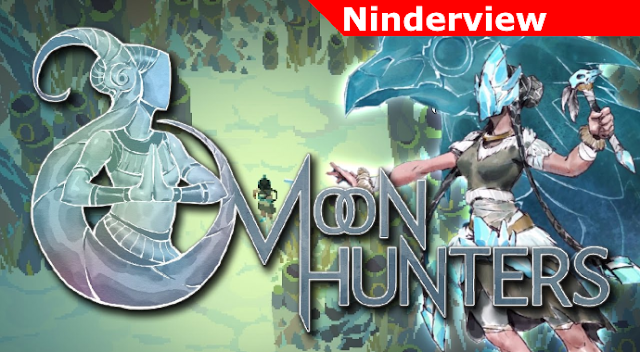 Moon Hunters is planned for a release on the Switch in the near future, though it currently doesn’t yet have an announced date. For more information and video of the gameplay be sure to check out our preview.